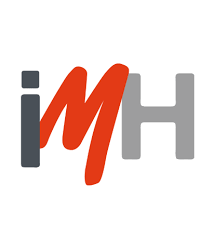 The IMH, Machine Tool Institute is an Advanced Centre in Manufacturing, which offers specialised training in Advanced Manufacturing, and Innovation services for companies. In 1986 a group of professionals in education from the Vocational Training School of Elgoibar started this project, who, after securing support from businesses and institutions from the Basque Country, founded the Foundation for Technical Training in Machine Tools. The IMH was inaugurated in 1991 in Elgoibar. The Dual Engineering University School of IMH offers an engineering university course (Innovation Engineering in Processes and Products engineering degree, 240 ECTS) combining academic training and gaining work experience in a company. This is an innovative study option which is directly related to the fact that companies require a workforce that is tailor-made to meet their needs. The project aims to improve engineers’ training by integrating them in actual companies. Since it is carried out in both the company and training centre (the student spends 3 days per week in the company and 2 days per weeks at the university), the IMH Dual Engineering course enables students to gain first hand experience of the day-to-day working of a company, and to channel their studies to meet their company’s specific needs.